If you have celiac disease or non-celiac gluten sensitivity, every ingredient you cook with has to be free of gluten, including the spices you use to flavor your food. 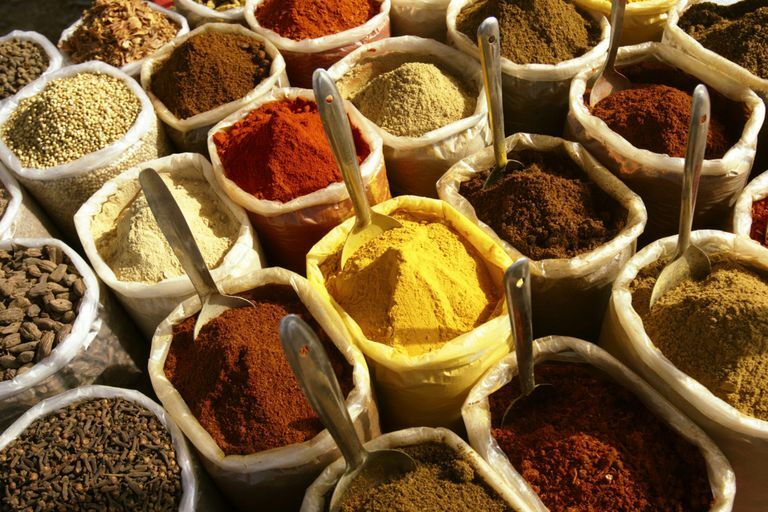 And believe it or not, the dried spices you pick up in the grocery store or order online—even single ingredient spices like cinnamon and basil—can be cross-contaminated with gluten. This means you shouldn't grab just any brand of spice if you're on a gluten-free diet; it's important to shop for ones that are least likely to contain gluten. If you're particularly sensitive to trace gluten, look for those with gluten-free certification, which means they're tested to below 10 parts per million of gluten and the manufacturers follow other best practices to keep gluten out of the final product. Following is a rundown of the major spice brands in the U.S., plus each company's statement on the gluten content and potential gluten cross-contamination in its products. Durkee. Durkee sells more than 92 individual spices plus a wide variety of blends. The brands Spice Islands and Tones are made by the same company, ACH Food Companies, Inc. The spices for all three brands are processed in the same plant. ACH says that their single-ingredient spices are processed on dedicated lines that are not used to process products that contain gluten, and that 99 percent of its spice blends should be gluten-free. The only possible exception are mixes that contain modified food starch, which is used as a thickener or texture stabilizer. Modified food starch can be made from gluten-free sources such as corn, maize, and tapioca, but can also be produced from wheat. According to the non-profit organization Beyond Celiac, "if wheat is used as the source, it must be declared on the label as modified wheat starch or modified food starch (wheat)." To make absolutely sure a particular Durkee spice blend has no trace gluten, check with the company. Frontier Co-op. This purveyor of bulk and organic spices has eliminated all known gluten from its facility. However, Frontier says up front that it only tests some of the products in its Simply Organic line of single spices and seasoning mixes, which are not labeled gluten-free certified. Magic Seasonings. Louisiana chef Paul Prudhomme created this line of seasoning mixes, which includes well-known spice blends such as Poultry Magic, Magic Seasoning Salt, and Fajita Magic. According to the company, all the blends are considered gluten-free to 20 parts per million (GF-20) except for Breading Magic and Gumbo Gravy Magic. McCormick. McCormick is one of the most widely available brands of spices in the U.S. Although the company does use gluten grains in some of its products, McCormick lists these prominently in the ingredients list. In addition, any products containing grain-derived ingredients are processed on separate lines. McCormick does not test its raw ingredients for gluten cross-contamination. The Spice Hunter. None of the single-ingredient spices or multi-ingredient spice blends from this company claim to be certified gluten-free. Spicely Organic Spices. Spicely covers all the bases: Its products are certified vegan, Kosher, organic, and gluten-free by the Gluten-Free Certification Organization. The company carries more than 50 individual spices plus another 50 or so seasoning mixes.